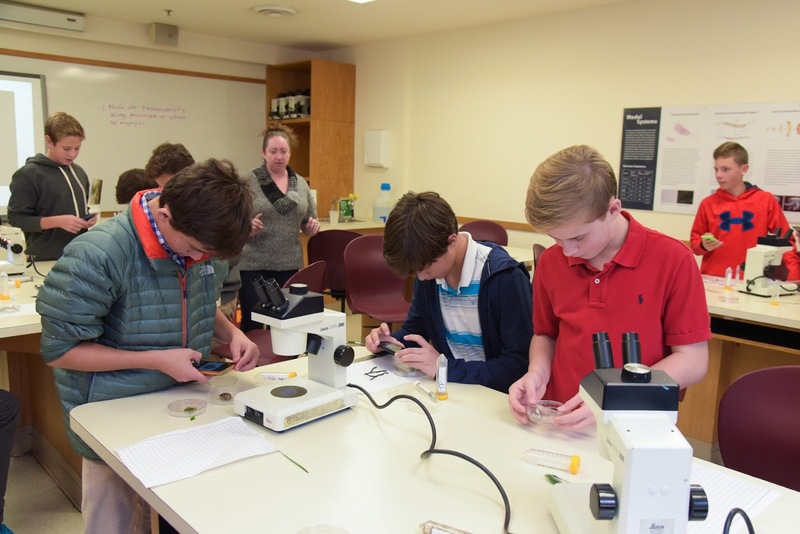 As part of Saint David's signature school partnership with the DNA Learning Center of Cold Spring Harbor, eighth graders and their science teachers visit the CSH laboratory, where they interact with DNA scientists. Earlier this week, the boys spent the entire day there. 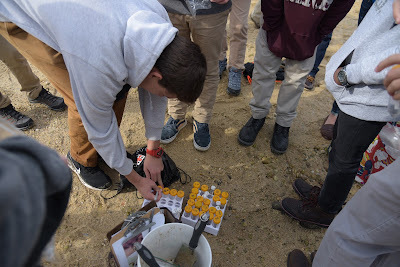 They began with a hike to the harbor and a nearby beach to collect specimens of plants and invertebrates, practicing field sampling techniques alongside CSH DNA researchers. Back in the CSH lab, the boys examined, photographed and preserved their specimens for transport back to school, where they are working in Saint David’s own pop-up DNA lab to determine the species of their samples, using DNA barcoding. 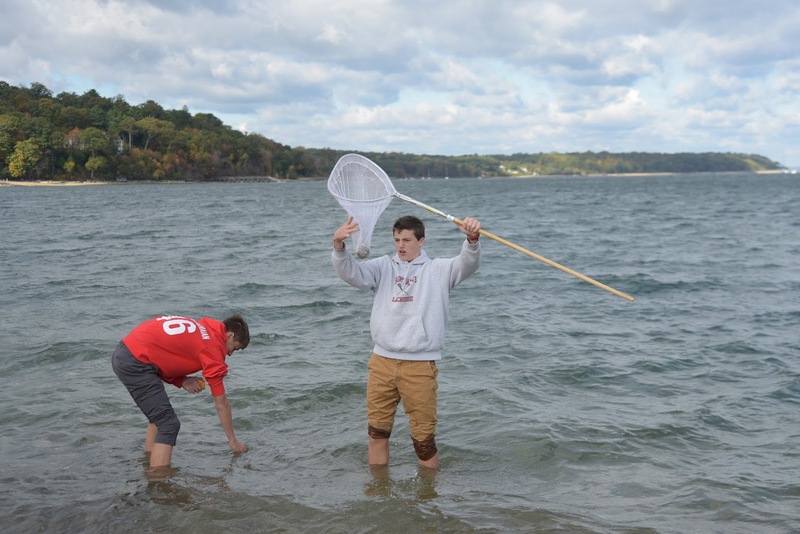 They will conduct a research project on the changing ecology of the Cold Spring Harbor ecosystem, comparing the biodiversity of the current ecosystem to documented biodiversity surveys from the 1890s. What a fantastic learning experience for our boys; and what better way to engage their curiosity! 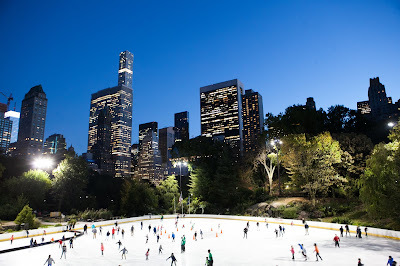 Our annual Family Skating Party is always a much anticipated evening that never disappoints. The boys love donning their skates to swoosh on the ice with their pals. Many parents and faculty do too--and all relish the delicious desserts! There is magic in New York City at night. Yesterday evening was magical not only because of the fantastic venue, but because of the camaraderie so apparent in the strong bonds of our school community. Thanks to the Parents Association Family Skating Party Chairs Karen Amen, Amanda Moran, Adriana Orozco, and Leticia Presutti, and all the volunteers for a wonderful night. Alumni living in or attending school in the Boston area recently gathered at the Union Oyster House--the city's oldest restaurant--to share memories with retired Master teacher Tom McLellan h'12 and Assistant Director of Development John Dearie '95. Former faculty member, Katie Armstrong Kane, also joined the gathering. Although the group spanned the classes of 1999 to 2010, their memories of their teachers, including Bob McLaughlin, Joe Kilkeary, Tom Ryan, Mike Imbelli and Paul Czuchlewski unified the conversation. Recollections of Chapel talks and the classic Saint David's sports uniform of red shorts over grey sweats blended with the traditional New England fare of clam chowder and oysters to make for an enjoyable evening. Excitement grew as Mr. Dearie unveiled the progress of our school's expansion project, and all were eager to return to visit their alma mater. 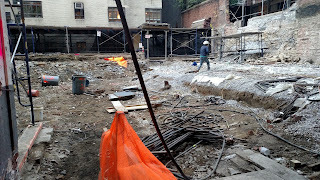 In fact, they promised to reassemble in New York for the Christmas Gathering. Today we hit an exciting milestone in our construction project: the beginning of work to erect the superstructure over our foundation. 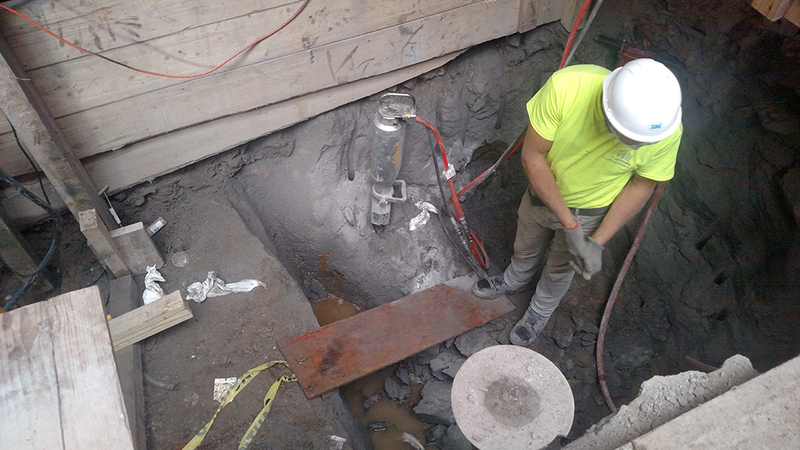 Following successful Department of Buildings inspections yesterday, concrete for the first of 6 main footings along the north wall of the superstructure was poured. 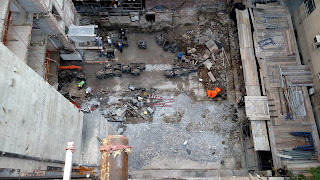 During the next two weeks, construction activity will focus on pouring concrete for the remaining footings, excavation of additional footings to the south, starting the installation of reinforcement steel, and beginning to underpin the foundation. 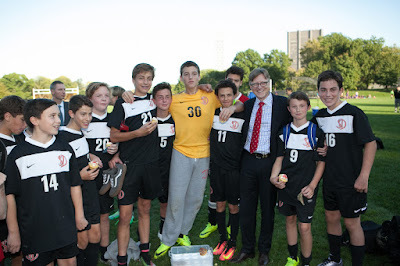 Saint David's boys are active historians. 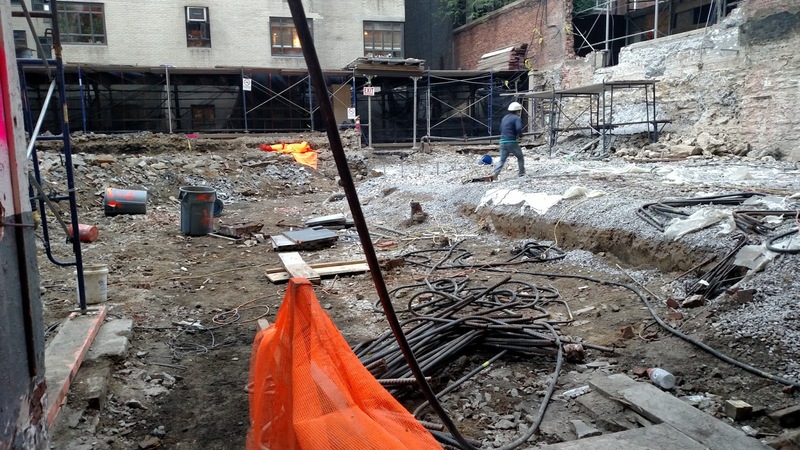 This is evident through our longstanding signature partnerships with the Gilder Lehrman Institute of American History and the New-York Historical Society. Today, GLI President James Basker led a workshop for sixth graders and their parents on "Why Documents Matter." During their study of American history, our boys have access to the treasure trove in the GLI vault where they will analyze and interpret primary source documents, such as Paul Revere's engraving of the Boston Massacre. In Second Grade a historian from the N-Y Historical Society joins homeroom teachers for a series of sessions on the Lenape indigenous people of Manhattan. The boys examine artifacts and, through observance and inference, determine their use. This week they observed and interpreted the homes of the Lenape. Using glue and construction paper, they then constructed structures that reflected their understanding of the resourcefulness of the Lenape people. Active learning is a hallmark of our program. It engages boys more fully, encourages curiosity, and enhances understanding. Where better to ignite intellectual and creative curiosity than on Cape Cod with its rich ecology and natural beauty! Our seventh graders and teachers are there now, engaging in a week of science, art, activity, and writing. Their days are full: a marine life cruise, the famous and challenging Great Island Hike--certain to take the boys to exciting discoveries along the beach--exploration of the marsh, sessions on marine chemistry with research scientists from the Woods Hole Oceanographic Institution, architectural observational drawing, and journaling. 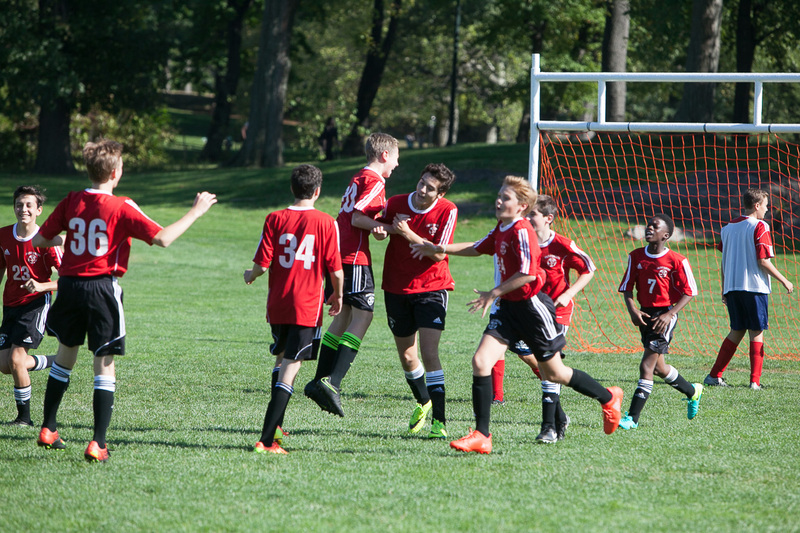 As our boys enjoy the sessions and activities of these days, they also expand and deepen their friendships, strengthening their bond as a class. 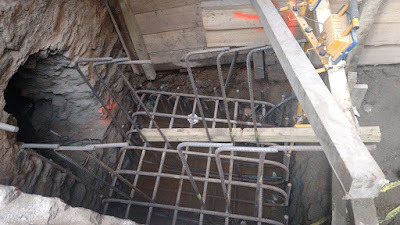 Just this morning we completed demolition of the southern section of Graham House and we have started on the footings by placing steel rebar. 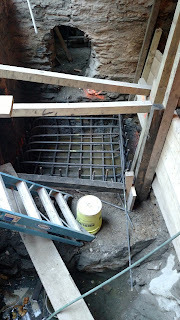 It's another milestone for the school as we take the first steps in erecting the new superstructure. Once the footings, underpinning and foundational supports are fully in place for the rear portion, we will begin to erect the new steel frame. 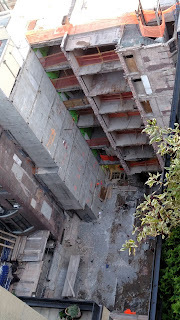 Demolition will then continue on the north (89th Street) section of Graham House right behind the facade of the old building. In effect, the new superstructure of the rear section will help brace and support the facade of Graham. 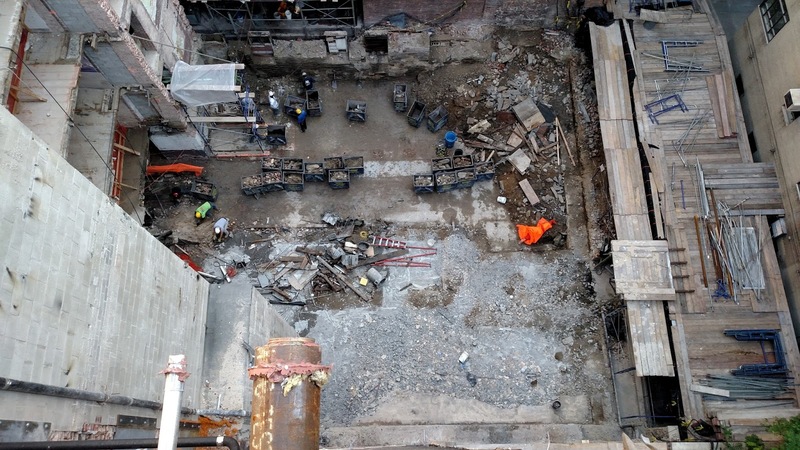 Looking straight down at the site of the rear portion. Our sixth graders and their teachers are having a great time at Camp Ramapo in Rhinebeck, NY, where today they participated in fun games, low ropes activities, and a beautiful hike. 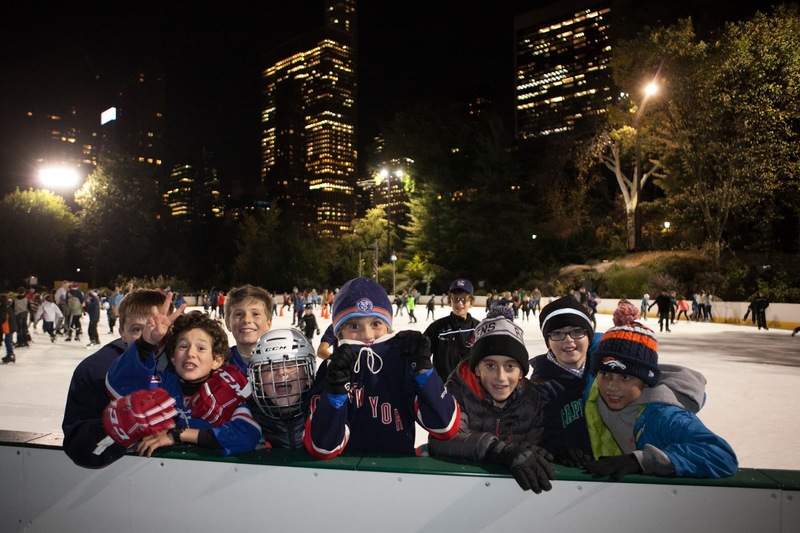 During their overnight stay, the boys work together to accomplish the Camp's physically oriented challenges and strengthen ties with their classmates through team- and trust-building activities. They experience in a tangible way the value of cooperation, trust, and collaboration. Bob McLaughlin celebrates his 80th birthday today and the boys just feted him with song and cake! 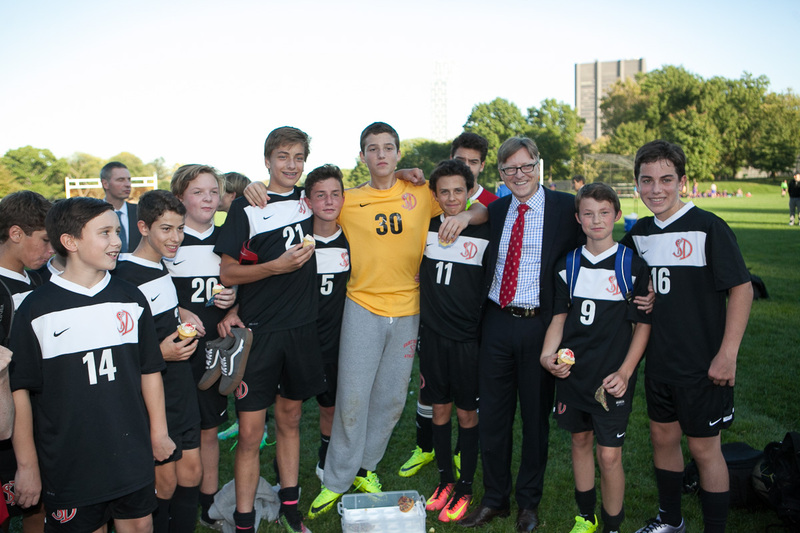 We are so fortunate that he is a member of the Saint David's family. On behalf of his Saint David's friends and colleagues, I handed Bob--an avid reader and lover of words--a special edition publication engraved with his name, of the October 13th front page of The New York Times for every year since the year of his birth--that'll keep him busy for a while! Sixth graders recently studied weather, extreme weather, and weather patterns. During this unit, the boys learned about hurricanes and tornadoes, how and where they form, and the damage they can cause. In class, they created tornado tubes to better examine the vortex and eye of these types of storms. This allowed the boys to get a better sense of the destruction caused by extreme weather and to see, first-hand, what is happening in the weather phenomenon. In these labs, and throughout our STEAM program, our boys practice science as they observe, infer, and predict. 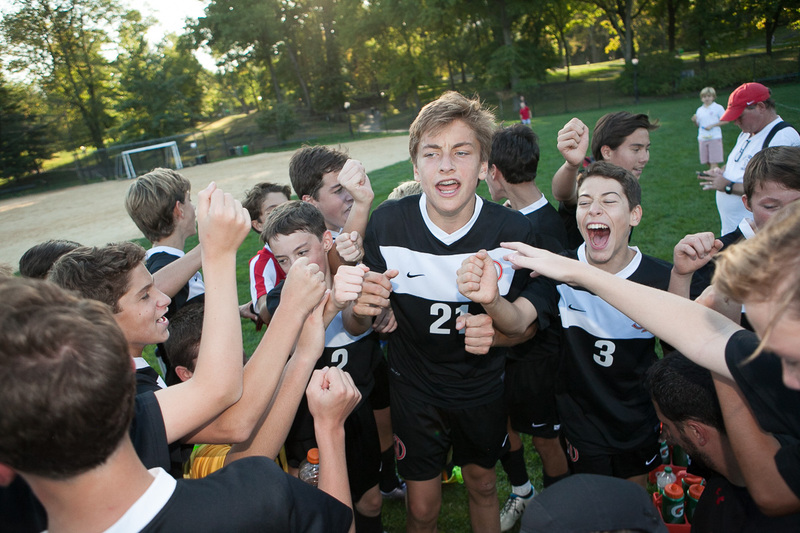 You may have heard the cheering from anywhere on the Upper East Side yesterday afternoon, around 5:00. 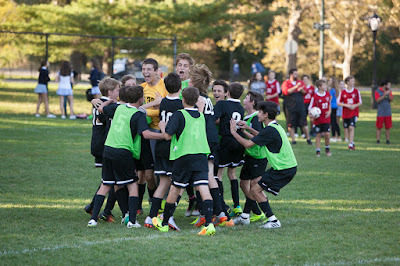 It started with White's victory over St. Bernard's 1-0. Then came the match for the Osgood Cup and Saint David's Red took it with an amazing 6-1 win. Our Red and White teams played with great skill, determination, and sportsmanship. Their coaches and I are proud of them all. 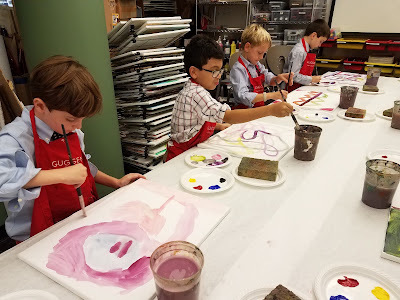 Saint David's new partnership with the Guggenheim for a Second Grade art unit is in full swing. This week the boys started painting, after being inspired by Kandinsky and Braque artwork they viewed in the galleries. 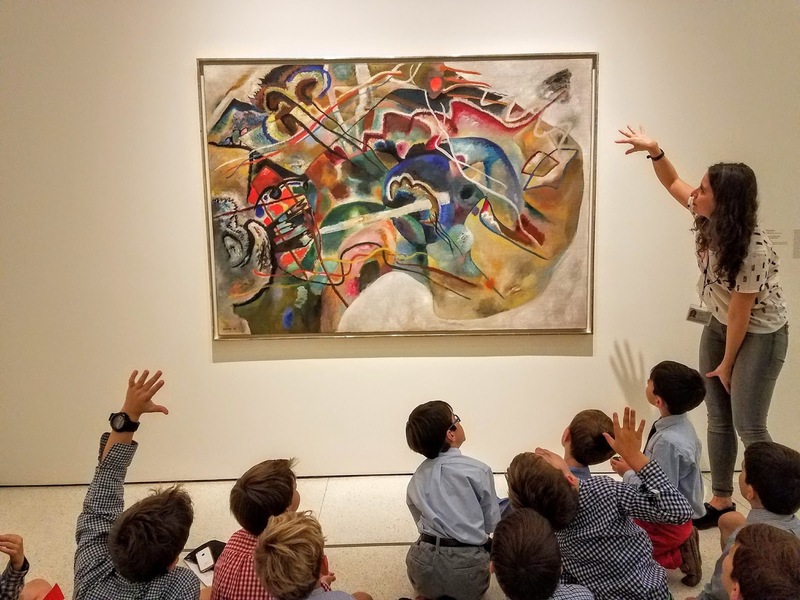 Their teachers report that the boys are having a wonderful time viewing the art, asking questions about what they see, and then applying their learning in the art studio under the guidance of their Saint David's art teachers and a museum curator. 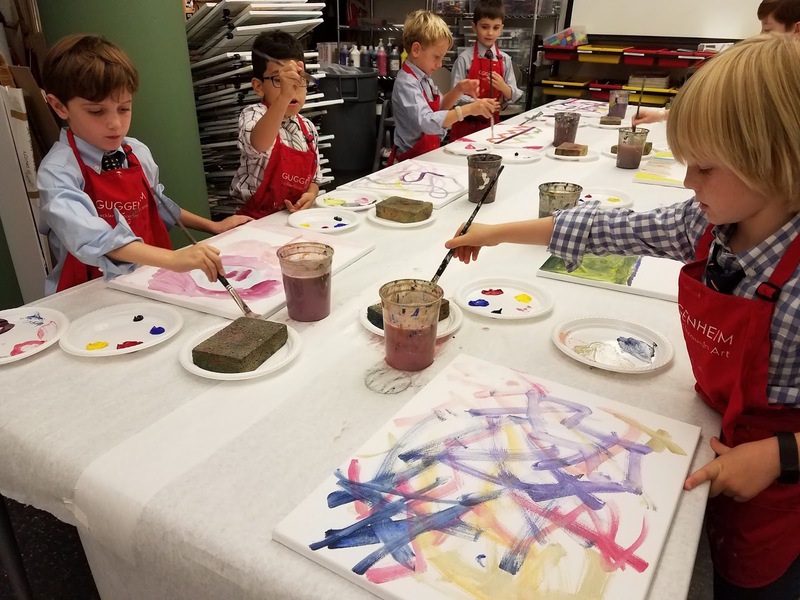 Our boys are so fortunate to be able to benefit from the expertise of their Saint David's art teachers, while taking advantage of enhanced learning opportunities offered by a world class cultural institution that is just down the block!